Final iOS 10 / 10.3 / 10.2.1 / 10.2 / 10.1.1 / 10.1 download IPSW links are available to install on iPhone 7, 7 Plus, 6s, 6s Plus, 6, 6 Plus, SE, 5s, 5c, 5, iPad 4 and over, and iPod touch 6th-generation. This final build is available to everyone worldwide. 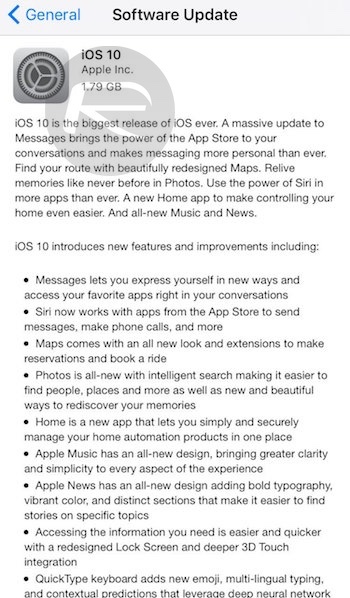 iOS 10 is Apple’s latest major update for iPhone, iPad and iPod touch devices, bringing in a number of new features to one of the world’s most popular mobile platform. For a full list of features on what’s new in iOS 10, you can check out our separate detailed post on it here. 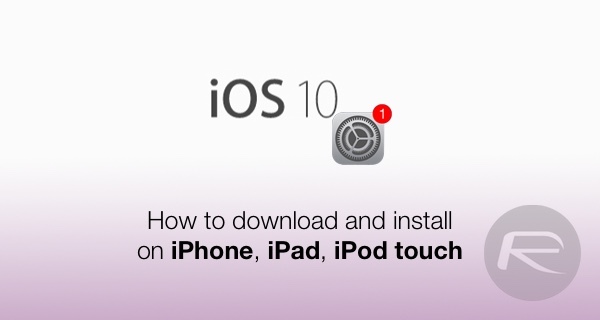 The following guide will help you download and install iOS 10 / 10.2.1 / 10.2 / 10.1.1 / 10.1 / 10.0.1 / 10.0.2 / 10.0.3 on your compatible iPhone, iPad or iPod touch device the right way, covering both OTA update method as well as clean install method using iTunes. To find out whether your device is compatible with iOS 10 or not, you can check out the details in our iOS 10 compatibility post here. Before going ahead with installing iOS 10 / 10.2.1 / 10.2 / 10.1.1 / 10.1 / 10.0.1 / 10.0.2 / 10.0.3 on your device, it is important to note that backing up your data, either using iTunes or iCloud, is highly recommended before installing a major upgrade such as iOS 10. This is so that you can always revert back to your old setup incase anything goes wrong during or after the update. We have prepared a separate guide on how to get your device ready for iOS 10 which you can follow here: How To Prepare For iOS 10 Release The Right Way. Once you are done with the backup, follow the instructions below to update to iOS 10. By far the easiest way to update your compatible device to iOS 10 is to do it via OTA update method. While it’s easiest and fastest, it probably isn’t the best as with this method, some un-needed files are usually transferred over from the previous operating system, taking unnecessary disk space and resulting in performance issues. But if you can live with that, you can follow the instructions below to get onto iOS 10. Step 1: From the device itself, head to Settings > General > Software Update. Step 2: Wait for iOS to check for new OTA update. Step 3: Once iOS 10 update is found, tap on Download and Install to begin installing the update. Clean installing is our recommended way to go as iOS 10 is a major firmware update and it’s always better to start fresh to make sure no battery drainage or performance issues occur. Here’s how to go about clean installing iOS 10 on your device. Step 1: Update to latest version of iTunes on your Windows PC or Mac. Step 2: Download IPSW file of iOS 10 tailored for your device from here: Download iOS 10.2.1 Final Version IPSW Links For iPhone And iPad. Step 3: Turn off Find My iPhone on the device. 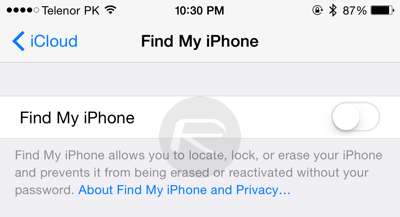 To do this, head to Settings > iCloud > Find My iPhone and toggle it to off. Step 4: Connect your iPhone, iPad or iPod touch to your computer via the Lightning/USB cable. Step 5: Now launch iTunes and select your device, as shown in the screenshot below. Step 6: Next, if you are a Mac user, you need to hold the Alt key, for Windows users this will be the Shift key, and then click on the Restore iPhone… button. 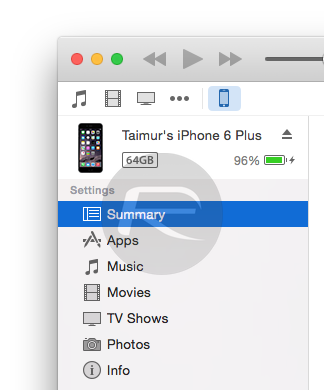 iTunes will now prompt you to select the IPSW firmware file. Select the iOS 10 / 10.2.1 / 10.2/ 10.1.1 / 10.1 / 10.0.1 / 10.0.2 / 10.0.3 firmware file you downloaded earlier. It’s important to note that this will wipe your device completely. Make sure you have backed up as explained earlier in this post before going ahead with this step. Step 7: Now sit back and relax as iTunes installs iOS 10 on your iPhone, iPad or iPod touch. Be patient as this could take some time depending on the speed of your computer and the type of device you are installing it on. Once installed, your device will reboot automatically and you’ll be greeted with Hello screen of iOS 10. Update x9: Final version of iOS 10.3 is out. You can find the download links here: Download iOS 10.3 Final IPSW Links For iPhone And iPad. Update x8: iOS 10.3 beta 1 is now available. You can find download and installation instructions for this beta release here: Download iOS 10.3 Beta 1 For iPhone And iPad. Update x4: Final version of iOS 10.1 is out. You can learn more about it here. Update x3: iOS 10.0.3 is now available for iPhone 7 and iPhone 7 Plus devices only. This post has been updated to reflect the change. Update x2: iOS 10.0.2 is now available to download. The above post has been updated to reflect this change. Update x1: Here are all the direct download links for iOS 10 / 10.0.1.
no, it can cause some apps to not update. Try with original apple USB wire or with certified..
im on 10.0.1 iphone 7. a few questions. 1) Should i upgrade o 10.2.1? 2) How can i upgrade to 10.1.1 if in case that is possible (does signing allowed from apple)? If I am part of the Apple Beta Program, should I stay with in or do this clean install? i am in ios 11.2.5 on iphonne 5s….and want to degrade to ios 10.3.2. Please help me. Because ios 11 is draining allot battery.